Today's Green Bargain is brought to you by NurturMe. 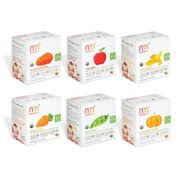 NurturMe is the first and only certified-organic, all natural and gluten-free baby food made from nutrient-rich, quick-dried fruits and veggies. Our revolutionary approach feeds off our basic instinct to nurture. 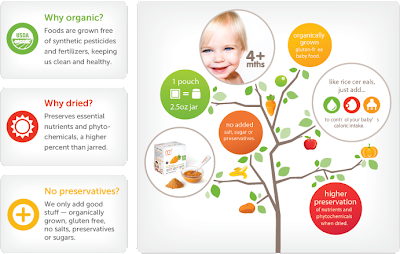 That’s why our food gives your baby better nutrients, provides you versatility and takes care of Mother Earth. Prepare by mixing with water, breastmilk or formula. Stir to reach desired consistency. Use the entire contents of pouch after opening. 4+ months : Mix 1 pouch with 3-5 tbsp liquid. 6+ months : Increase serving size by combining 2-3 pouches. Give yourself (and your back) a break. 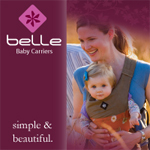 These earth-loving, lightweight pouches are great for busy moms on the go and at home. Each pouch weighs less than a jar and yields approximately 2.5 oz. 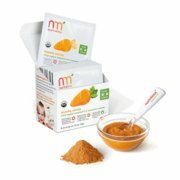 of pureed baby food. Think outside the highchair and get creative with your toddler’s menu. Simply add a pouch of NurturMe to foods, like pasta and yogurt, to boost your child’s nutrients. The best part — it tastes so good, they’ll never know. Available by indiviudal boxes. Each box has 8 pouches.